Marijuana is a psychoactive substance that is widely used around the world for various purposes. Some enjoy the ecstatic feelings and mind-high they get after ingesting it, while some utilize it for medical purposes. Despite how socially acceptable the plant has become, it is still illegal in many countries, and most governments do not plan on legalizing it anytime soon. Although, the use of the plant has never decreased. Instead, people are continuing to use it more and more for various purposes and are taking steps to legalize it around the world. Marijuana, also known as cannabis, has a very large business industry. It involves risks that endanger providers due to limited availability and legal issues. However, those risks do not stop people from earning and setting up businesses to provide the public with this psychoactive plant. This has caused many changes in the business industry of medical marijuana. Now, many are coming together to improve the legal status of the plant and make it more easily available for recreational and medicinal use. In the millennial age, everything has been largely affected by technology. From automatic flushing toilets to cars that park and drive themselves, the marijuana industry is not unaffected by technology. Worldwide entrepreneurs have affected the marijuana industry as well. Previously, the recreational use of marijuana had a doubtful reputation. Typically, marijuana users did not carry a positive reputation in society. This created a concept in most people’s minds that the industry would soon perish. However, in some places like the Silicon Valley, entrepreneurs have rapidly changed the way people see this industry. 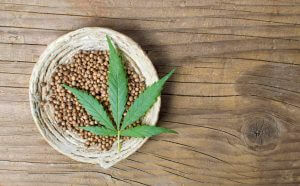 Due to the hype in media, the potential benefits of marijuana, such as curing joint pain and seizures, have increased recognition of the plant among people worldwide. The increased social acceptance has caused the sale of marijuana to go up by almost 50%. This increase in sales became too big to ignore. Considering only the United States, sales reached an amazing $1.5 billion in 2013. Recent studies show that more than 58% of Americans now support the sale of marijuana. But, with governments taking steps to close these dispensaries, politicians and authorities are undecided on just how many legal certificates they will grant. Spokespersons for the cannabis industry are trying to balance out the demand of the public with the amount of marijuana produced because they look forward to completely diminishing the black market. Technology has enabled dispensaries to keep online bookkeeping records of how much marijuana has been sold, bought, utilized, transported, and wasted for whatever reason. Retail stores and dispensaries providing marijuana are planning to collaborate to further improve the safe sale of the plant. Retail stores working in collaboration with marijuana dispensaries are now supposed to have a medical certificate that allows their staff to sell the plant to patients who have legal permission. These certifications aim to educate employees to assist patients in a better way. According to changes in the laws for selling marijuana, retail stores will be able to sell potent products which can be used for recreational purposes by patients who require it. The products that are sold will mostly be limited to suppositories, capsules, tinctures, and transdermal patches. With more states heading towards legalizing marijuana in the future, investors and professionals from all over the world are heading towards cannabis faster than people head for a gold mine hunt. Whether it is designing indoor farms to grow the plant successfully without geographical limitations or developing new vaporizers for effective and harmless smoking, these fresh entrepreneurs have decided that, no matter how protective the law gets towards cannabis, they are determined to make it more accessible and legal for both recreational and medicinal purposes. Despite the “not-so-successful” acts of the government and the rapid changes made by tech-entrepreneurs affecting the marijuana industry, do you support the legalization and availability of this psychoactive plant?